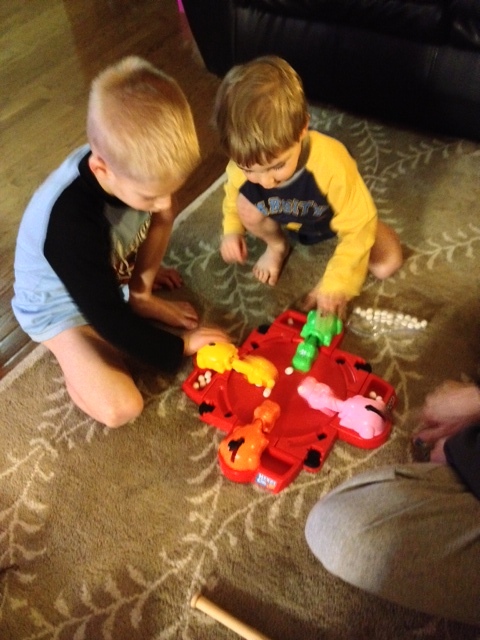 It’s been snowing outside all day long, and two little boys are restless! Looks like a perfect night for Family Game Night! For us, we have Game Night almost every night. We play right before our Night-Night routine of Bath, Books, and Bed. Our kids are little, and so is their attention span. Therefore our Game Nights are never longer than thirty minutes. 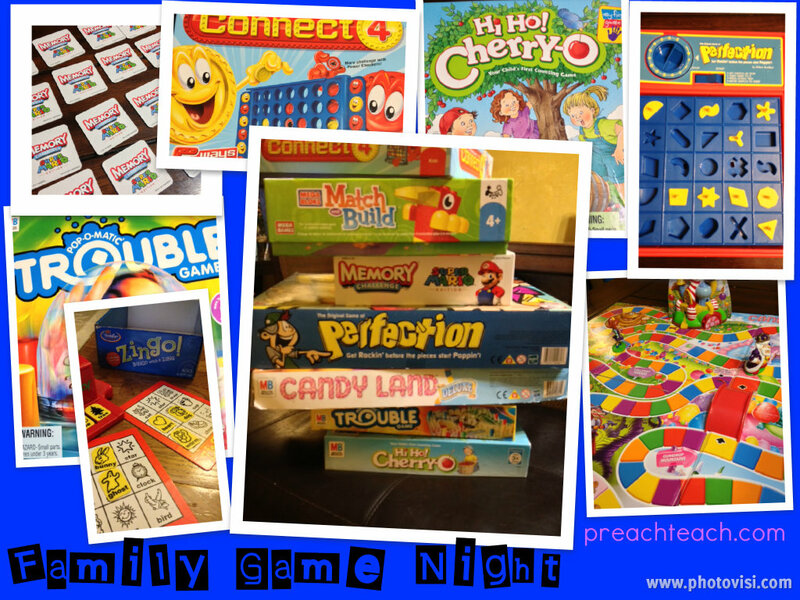 Some families have one night a week that is game night. They make a special dinner or a special snack and then spend the rest of the evening enjoying quality bonding time. If your kids are older, your games might carry over from one week to the next. My parents and brother always loved to play Monopoly. They would just keep the game board in the corner and pick-up where they left off. Team-up- whether it’s girls versus boys, parents versus kids, or your family versus the neighbors, make it a friendly competition. Maybe loser has to clean-up the dishes, or serve the winners dessert. Whatever it is, it will be special! 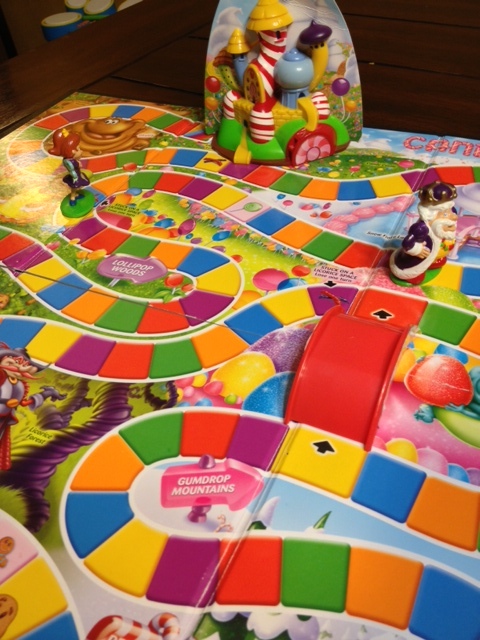 CandyLand is a favorite of ours, but night after night… after night of CandyLand adventures, Mommy told the Grandmas that the boys could use some new games for Christmas. Just as Grandmas do, we are now overflowing with board games, cards, and puzzles. A Perfect Collection for our game nights! 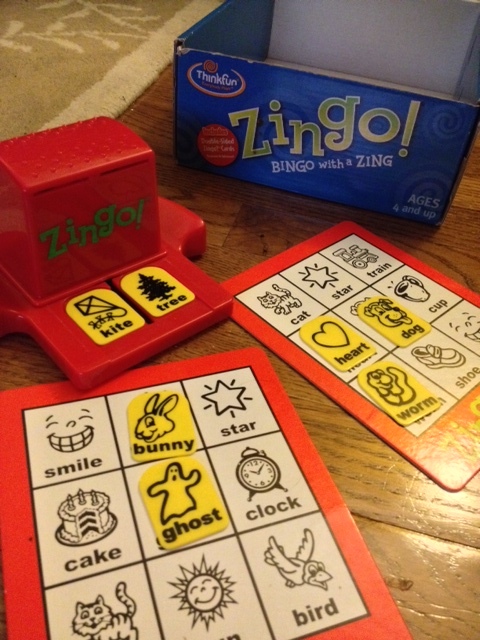 One go-to game for us is Zingo. It’s a spinoff of Bingo for toddlers. It’s great for their young age because they identify objects. The boys really enjoy Hi Ho! Cherry-O! My preschooler plays it at school. 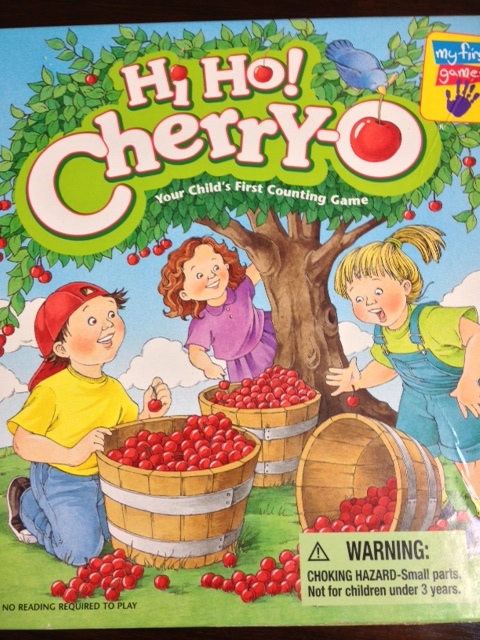 It’s a perfect game for helping develop that one-to-one correspondence for the kids as they pick the cherries off the tree. Another plus, it helps them with their fine-motor skills! My parents always said they had to actually try their best when they played me in Memory as a kid. I’m finding the same to be true when I play with my children! 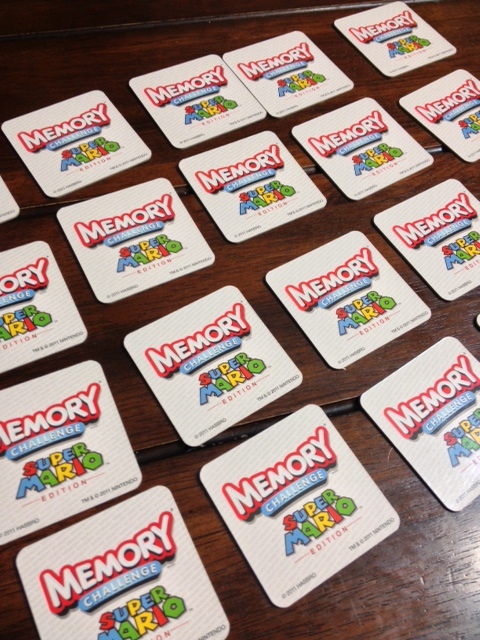 We have 4 different Memory games, and the boys love them all. It still surprises me how good they are at finding matches. 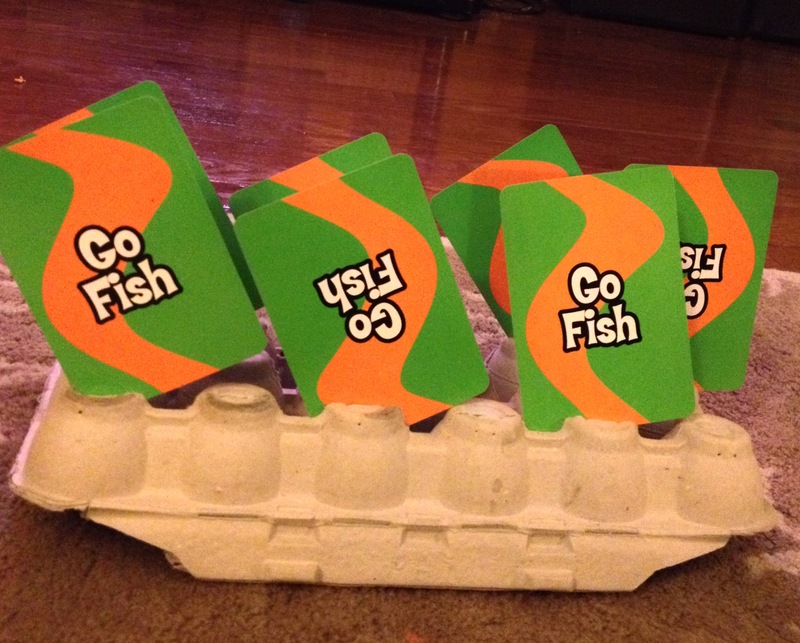 We have recently started playing card games with my 5 year-old. 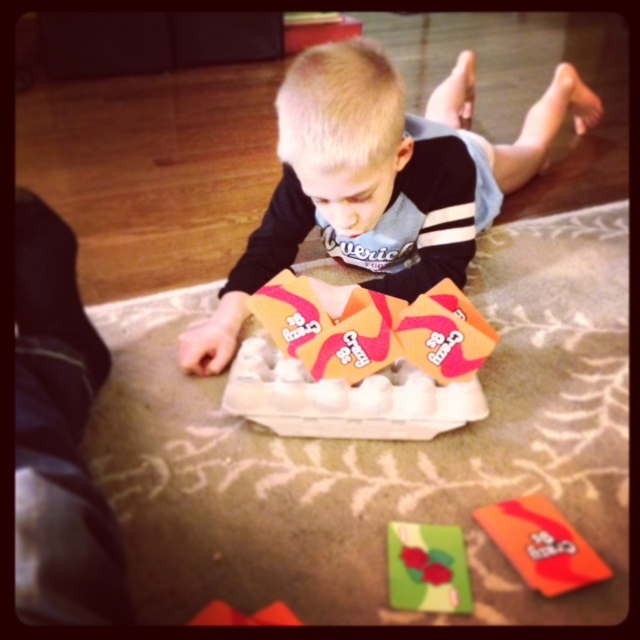 Crazy 8’s, Old Maid, Go Fish, and UNO are favorites, and perfect for his development. And like with Memory, the boy wins without a handicap! My mom found the idea for a card holder. She took the bottom portion of an egg carton and sliced the tops. My son had trouble holding onto his cards, and now I can’t sneak a peak at his hand! Our collection of games is growing quite extensively, and my 2 year-old rather enjoys making a mess of things. 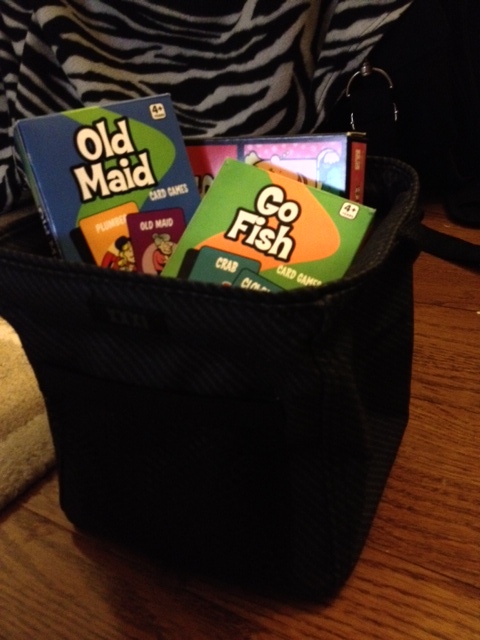 I use a Thirty-One mini tote to hold all their card games. It’s easy to clean-up and store the games, as well as for the boys to carry into our family room when it’s time to play. As you can see, we love our game nights. And yes, pants are not required to play!! What are some of your favorite games? Do you have any game night rituals? Thanks, Kurt. Where is your mission to?